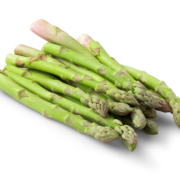 Applewood Fresh expands into asparagus! Applewood Fresh Growers LLC has expanded to offer fresh Michigan asparagus in addition to its apples. The asparagus season in Michigan lasts from approximately May 10 to June 25. This is a tight window for the harvesting season, so the company’s partner, New Era’s American Asparagus, is sharp day in and day out on production. Biting into your first KIKU® apple is an experience not soon forgotten. Super sweet in flavor, juicy and crisp, KIKU® apples are one of Mother Nature’s finest creations. KIKU® apples are ruby-red in color, with a striking striped appearance. With Earth Day around the corner and Kiku, one of Mother Nature’s finest creations, there’s no better time to celebrate locally grown apples! Meet our growers, they’re the apple of our eye! Apple Madness is a fitting title for March! This month is full of fun promotional opportunities. 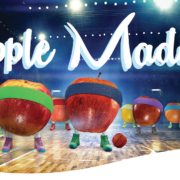 Celebrate National Nutrition Month, St. Patrick’s Day and March Madness by creating multi-variety ads and plan for visually stimulating displays with lots of color that feature many popular apples, including Evercrisp, the apple of the month! EverCrisp® is the ever crave-able apple! A yummy snacking apple that holds a powerful crunch – combining the best features of its parent varieties, Honeycrisp and Fuji. The durable apple is now available and has a long shelf life – maintaining sweetness and firmness for months. Your customers will love them and keep coming back for more! Valentine’s Day is around the corner. The apple is frequently used as the symbol of love so it is time to start flooding your social media and produce department with everything LOVE. Create eye-catching displays and utilize our downloadable resources to make your produce department a memorable shopping experience! Did you know February is Heart Health Month? 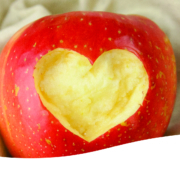 Hearts love apples so use this month to raise awareness and encourage your shoppers to make healthy changes. 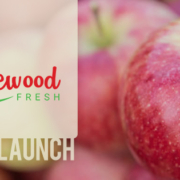 Official Launch of Applewood Fresh Growers! 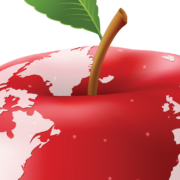 We are excited to announce our official launch of Applewood Fresh Growers LLC, a grower, packer, shipper and marketer of the finest Michigan apples. While headquartered in Sparta, Michigan, we ship 21 apple varieties, including four managed varieties, across the country on a year-round basis. Though officially a new company, we can trace our family-owned roots back more than eight decades to 1935 and the founding of our affiliate, Applewood Orchards, Inc.
Two Michigan apple shipping companies are emerging from an ownership split of All Fresh GPS. “All Fresh will cease doing business as of March 31,” said Scott Swindeman. The two companies filling the All Fresh void are Swindeman’s new company, Applewood Fresh Growers LLC, and Michigan Fresh Marketing LLC. Applewood Fresh Growers is owned by Swindeman and his family, which also owns the longstanding orchard and packing operation, Applewood Orchards Inc., located in Deerfield, MI. Applewood Orchards and Michigan Fresh Marketing LLC (which used to be owed by the Heeren family) joined forces several years ago to launch All Fresh. SPARTA, MI – As one of my personal favorite fruits, I’m always excited to hear about developments in the apple world. This year, the apple community gets a little bigger, with the announcement of a new company, Applewood Fresh Growers, LLC. 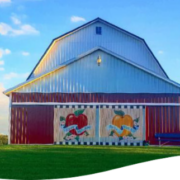 An affiliate of Applewood Orchards, Inc., Applewood Fresh is officially a new company specializing in growing, packing, shipping, and marketing the finest Michigan apples. With roots tracing back to 1935, Applewood Fresh will be shipping 21 apple varieties across the country, year-round.